We keep a porta-potty between us in bed so we don't have to get up all night. When we are bored and blue, we put our pills in the blender to make spin art prints. Pills for irregularity work really well. Fighting fire ant mounds and then we go Outside! We discuss the neighbors shortcomings, say it is too hot and go back inside. Securing the house involves locking the screen doors, locks and deadbolts on the front and back doors and a brief drill on how to break a window to get out during a fire because it takes at least 35 minutes to open all the doors again! After nap-time, we watch the greyhound wag her tail and laugh for 1/2 hour. Suppertime: "What do ya want for supper?" "I don't know, what do you want?" Conversation goes on and then we go to the K & W Cafeteria. There, we hope we don't die while waiting in line to get to the food. They charge for butter pats, creamers, and having your picture taken with an employee wearing a hair net. On a Senior Day, which is every day, you can make out your will in line with a licensed attorney and everything! If you order collard greens, you are entitled to a free amendment. Then for the ending of another perfect day, we throw our teeth in a cup, glasses on the dresser, clothes on the floor and jump into bed getting a concussion on the porta-potty. But these are the Golden Years, right? Friday already! Today is a good Day! I am sharing some of my poetry. This was written by me in April 1994 to my eldest daughter. She had moved to a new apartment with her husband and had mentioned in a phone call how some of her "memories" were put in the attic. All the "stuff" that means so much. Causes pulling of one's heart strings. Toys and keepsakes from friends, Dad and Mom. Where had all the time gone, remember being in Korea? Gosh, it seems so long ago. Following this audiovisual aid of all the years. I wouldn't have missed a minute of the growth!" Are treasures in boxes and old, old dreams. God closes a window but he opens a door. As I was writing about the little Blue Bird family in our back yard for the Two Happy Blog, It reminded me of the book my daughter gave me as a gift many years ago. It is called The Giving Tree by Shell Silverman. If you have not read this book, you are missing out on a good thing. You will understand my comparison when you read it as the tree gives everything he has for the child until there is nothing left to give. The Blue Bird family conducts themselves the same way. The parents build the nest, lay the eggs and keep them warm until the little ones come into the world. The father brings food to the Mrs. while she incubates the eggs. He is completely devoted to this duty. When the babies arrive, Mom and Dad feed them relentlessly, remove their waste sacks, and nourish them until they are so big they must leave the nest or be trapped inside the house. But that is not the end of the story, the teens hang around to learn from the parents and also drive them crazy! They perch on the roof begging to be fed even though they are bigger than their parents at this point and have learned to fend for themselves. The father usually gives in and feeds them a bit before tending to the new hatch lings. The parents are scraggly from their constant work and attention to their young and the young have developed into the most beautiful young Blue Birds. Our own young are often the same. We think they have left the nest to be adults and our job is done but alas, it is never done. Some come back to roost and still need help before they can truly fly. Some never fly but you always willing to help them. It is hard being a parent no matter what era you raise your young in. Just remember that under those scrubby gray down feathers, there are beautiful ones just waiting to emerge. Just read about the Prodigal Son in the Bible. He gives his father such a heartache but when he returns, the father loves him more than before, he sees the blue feathers. 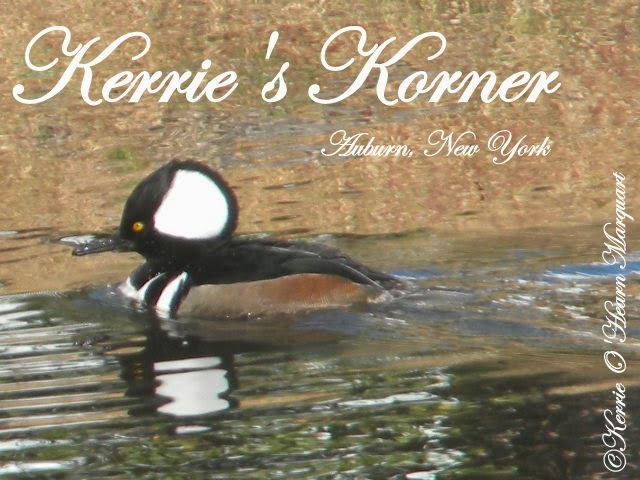 Welcome to my sister blog to TWO HAPPY http://beaver-kerrie.blogspot.com I am excited about my new home where I can share my writings with everyone, my faith and photos taken by myself and my hubby. We love nature and the out of doors. I hope this blog will peak your interest in all things you will read and that you will come back often to visit. The picture above reminds me of Gnomes and fairies who welcome you to their door and set a table. Thanks for coming!